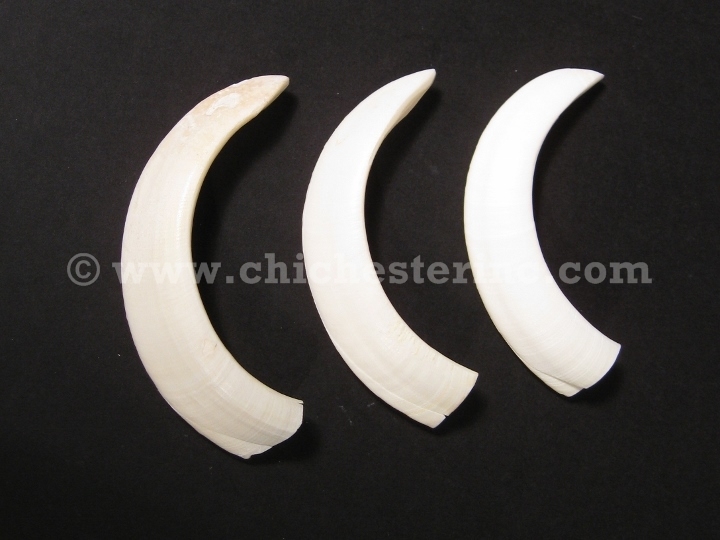 We offer #1 premium boar tusks from the Philippines. These tusks have been cleaned and are ready to use for making jewelry or displaying. They are measured along the curve on the back side of the tusk. The boar tusks are mostly hollow inside. The opening is from 0.5" to 0.75" across. 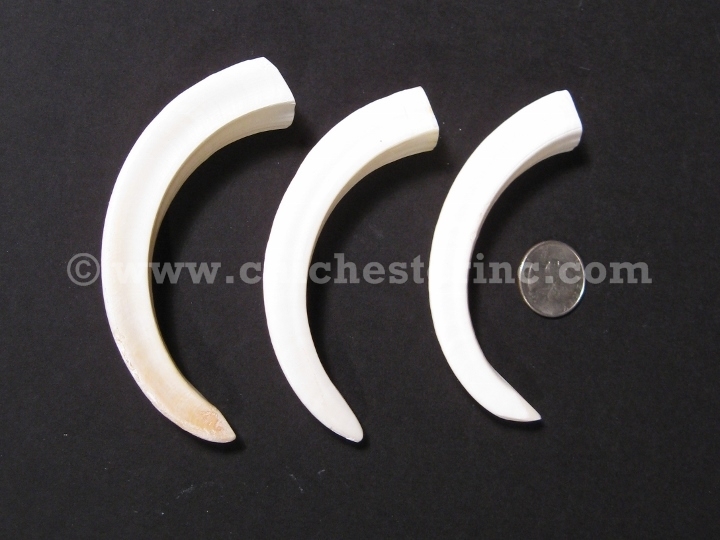 The #1 premium capped boar tusks have black caps at the base, some with metal loops attached for ready hanging. Our Gxx codes denote individual pieces. 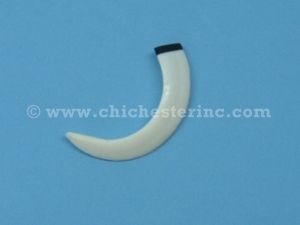 If you would like to order a specific boar tusk, please go to our Gallery to pick the exact one shown.